Growing up in Chicago during the 1940s, I would hurry home from school to listen to the latest installment of Captain Midnight, or Superman. My heart raced as I imagined the man of steel soar high over the buildings of the city or the masked man shoot the gun from the hand of a bad man. Every afternoon I dropped my school books on the bed, sat on the carpet in our parlor and waited for the old Zenith console to warm up. My fingers knew where to turn the green glowing dial to get each program. One day just before Thanksgiving, I tuned out the crackle of the static and heard blaring from the radio "And here's the Cinnamon Bear." I knew instantly that Christmas was on the way. One day I assumed my position in front of the radio-stretched out on my stomach with my head propped on my arms. The announcer regaled about last week's episode with Snaker Stick, the crocodile. "Snaker Stick!" I yelled at the radio. "What happened to the Wintergreen Witch?" I'd forgotten about cleaning the chalkboards and erasers the last two days after school. My excitement drained from me like the sands in an hour glass. Jimmy and Judy's quest for the silver star was incomplete. Over the years I discovered Old Time Radio. And like Fred Foy announced at the beginning of the The Masked Man, we are brought back to those thrilling days of yesteryear. My children never had to experience the heart break of missing one of Patty O'Cinammon's exploits. Today I still play my tapes on the way to work and remember fondly that simpler time. I am thankful for the existence of OTR reproductions. They are an old friend that will comfort me through the years; they will help me pass my childhood memories to my grandchildren. 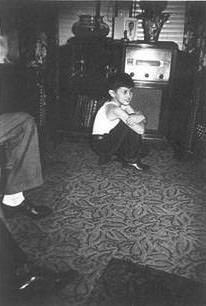 Be the first to comment on "Old Time Radio Memory: Wally Cwik: Remembering Radio's Heros"